I have to admit, I love going to the movies. The only problem is I cannot just sit and watch the movie. I always see “themes” and want to say to whomever I am with, “Wonder what that meant?” “ “Did you see that?” “Hmm . . .?” I do refrain myself, but it isn’t easy! I recently saw the movie, “The Intern” with Robert De Niro and Ann Hathaway. The movie did not get great reviews, but hey, what do the critics know anyways? I was up for a comedy, something where I could just chill and laugh. The movie centers around a widowed retired senior citizen trying to find a purpose for his empty life, played by Robert De Niro. His finds a place by becoming a Senior Intern with a company founded by Ann Hathaway’s character. There were so many themes I cannot talk about all of them here. My head was buzzing. The next morning I had a one-hour conversation about the things I saw. The one I want to write about here is the theme of an emotionally absent mother and the effects on the daughter. Ann’s character is a highly successful entrepreneur who is the founder and chief officer of an online clothing company. We see her as constantly moving from one task to another, scheduling meetings every 5-10 minutes. She hardly notices the individual contributors around her. And yet, we also have glimpses of her loneliness and her hesitancy about stepping outside of her role. Even in her home environment, she is regimented, does not take care of herself, and is emotionally absent in her personal relationships. Her world is threatened when the board wants to hire a new CEO to slow down and be purposeful in their growth. This rocks her world. Ann’s character is the epitome of Chapter 7, “Looking for Love” in Motherless Daughters: The Legacy of Loss, by Hope Edelman, (2nd Edition, pg. 196.) “ A motherless daughter uses addictions to heal herself from the inside out. She may try to master her environment with achievement and success. Compulsion is despair on the emotional level.” Ann pushes herself so hard to achieve. Is achievement her addiction? Does she fill some deep need she has with tasks and achievement? She keeps herself distant and distracted from personal and intimate relationships. There are many fallouts and repercussions from this. Is this because she has not gotten the nurturing she needed from her mother? Ann’s mother is still alive. We are only introduced to Ann’s mother through phone conversations when De Niro is chauffeuring her from one appointment to another. The mother’s tone of voice is cold, distracted, and direct. We are led to believe the mother is a very accomplished professional. She does not come across as nurturing and loving to her daughter. The phone conversations are all focused on the mother and what she has accomplished. We even hear her say that she has never been to her daughter’s very successful business website. We see how difficult this is for Ann’s character when she ends her conversation with, “I love you” and the mother says “Thanks.” There is much, much more to see with this film. 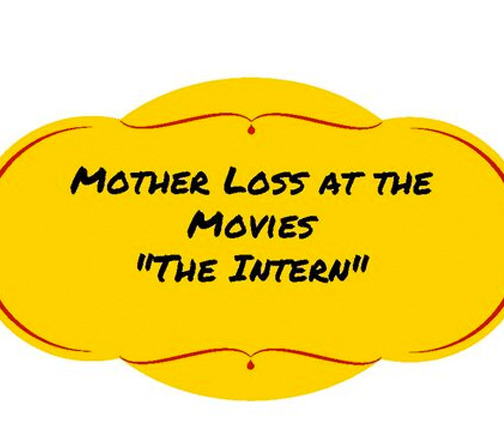 If you have an emotionally absent mother and are a high achiever, go see “The Intern.” Study Ann Hathaway’s character. Are there any ways you relate to Ann Hathway’s character. What are your thoughts?